Hong Kong, which is Cantonese for ‘fragrant harbour’, is an autonomous territory of China, which accords the island with limited self-governance and judicial system. Although human presence in Hong Kong has been recorded for thousands of years, the island only emerged as a critical sea port after it was ceded to British control by China following the ratification of the Treaty of Nanking in 1842. In the following one and half century, Hong Kong grew to become the busiest, and arguably, the most strategically important port in the world. In 1997, Britain returned control of the island back to China under specific sets of conditions which the Chinese government has honoured. Despite fears that the Communist nation’s policies would cripple Hong Kong’s free market economy, the island has continued to prosper two decades on. In fact, the island of seven million peoplehas grown to become one of the leading financial centres in the world. Owing to its critical role in international trade and finance, mastery of the English language in the business community has become critical. In addition, the presence of many international and private schools on the island also contributes to the consistently strong demand for English as a Second Language teachers. 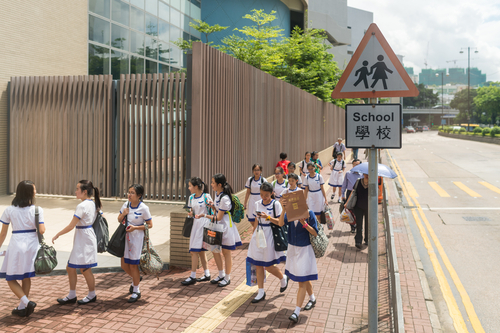 Demand for ESL teachers in Hong Kong has steadily grown over the past decade. The quality of applications has also increased in tandem owing to market-leading wages offered to foreign teachers here. Essentially, the best and most experienced ESL teachers in the market will eventually gravitate to Hong Kong. If you’re a fresh graduate, it would be good idea to pad your resume first in another country before applying for a job here. If you feel you are qualified and experienced enough to make the leap to Hong Kong, take a quick look at our list of requirements below to determine if you check all the boxes. Note: Classes are conducted in English, so fluent command of Cantonese or Mandarin won’t win you extra points. Salary : £2,200 - £4,900. Working Hours : 35 to 45 hours a week. Working hours vary depending on whether it’s a primary or secondary school, and whether it’s a morning, afternoon or full day class. School Year : Late August to mid-July. Benefits : Healthcare allowance, housing allowance (£1,000 to £ 1,500) and annual flight home. Hong Kong is a modern metropolitan with a thousand attractions. It is a well-known shopping paradise and food haven, and the nightlife can sometimes extend to the next day. Expatriates must exert great self-control and discipline to ensure they don’t over indulge themselves – especially since there is a sizeable contingent of big-spending, ultra-wealthy Europeans and Americans on the island. Regulatory agencies : Education Bureau, Immigration Department and Labour Department. Cost of Living : 10.43% lower than London. Visa : The processing time for work permit is about four to six weeks.